Watching this on repeat. Billy Eichner debuted the newest obstacle course on his show, Billy on the Street, on Tuesday, Dec. 8, and it’s hilarious. The challenge, called Leah Remini’s Escape from Scientology, features Rachel Dratch as Remini, making her way through a goofy course as Eichner, 37, guides her along. 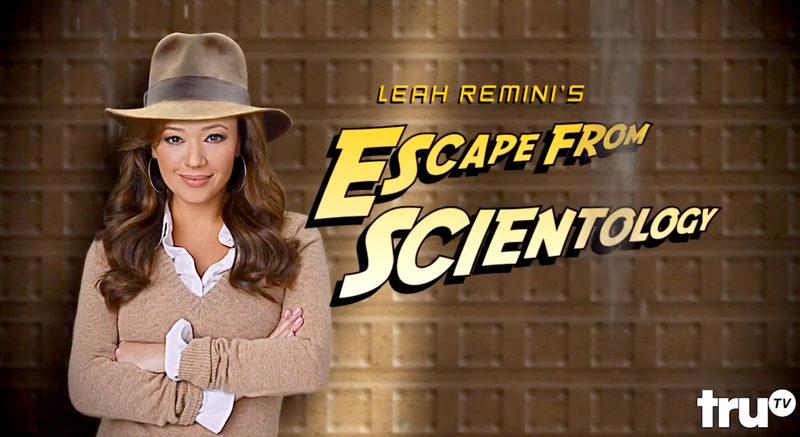 Leah Remini’s Escape From Scientology. “The first few obstacles, you&apos;re joining Scientology,” the comedian explains to the former SNL star, 49. “Then there&apos;s a twist: You decide you need to escape from the religion, save your kids, save your friends, and most importantly, save your acting career!" Leah Remini’s Escape from Scientology features Rachel Dratch as Remini, making her way through a goofy course with Billy Eichner. First, Dratch encounters a humongous billion-year contract that Eichner claims Scientologists must sign — using a magic marker, no less. “It worked for Jenna Elfman!” Eichner exclaims. Then, it’s time for Dratch to marry a fellow Scientologist — Giovanni Ribisi’s cousin, Eichner suggests. Shortly after, the game turns to trying to escape Scientology, which involves, well, alien hallways, shirtless men stuck in a shed, and even a giant volcano. Last month, Remini released Troublemaker: Surviving Hollywood and Scientology, which detailed her exit from the controversial religion. Billy on the Street airs Thursdays at 10:30 p.m. ET on truTV. Watch the hysterical video above!